Global warming drastically affects the polar ice caps because this region of the world is extremely sensitive to any temperature changes. Recent studies show the temperatures in the Arctic regions of the world are rising twice as fast as other areas on the planet. As the temperatures rise, the ice caps become thinner and melt more rapidly. The melting of polar ice caps caused by global warming has severe consequences on the water levels all over the world and the animals that inhabit the Arctic regions. The polar bears are especially threatened. NASA satellites show the ice caps are shrinking at an average rate of 9% every ten years, seriously harming the polar bears survival. The melting of polar ice caps caused by global warming have significantly altered the polar bears life habits. In 2002 the Ward Hunt Ice Shelf, which has been in the Arctic for 3,000 years, split in half. The shelf continues to break into smaller pieces. This shelf is also home to the polar bears of the Arctic. Because the shelf has split into multi sections, the polar bears now have a smaller area to survive. This includes a limited food supply. Polar bears are being forced to eat food they do not normally eat because of the diminishing food supply. Because the polar bears food supply is becoming limited, they now have to travel greater distances to find food. This is not normal behavior for polar bears to exhibit. They are traveling to areas of the planet that do not commonly see polar bears. The journey to the areas to find food is a long and difficult one. Many of the polar bears are not surviving the journey, especially young polar bears. There are numerous threats in the sea waters that are killing the polar bears as well. A couple of these threats include sharks and killer whales. As the polar bears make their great journey, they have a limited amount of time to find an adequate food supply and then return to Arctic region to hibernate. If the polar bears do not make it back to the Arctic region in time, they will often not survive the frozen sea waters. Global warming is not only harming the polar bears survival in the Arctic regions but the natives, other animals, and plant life as well. Polar bears are not the only animals to change their migratory patterns. Walrus, whales, and seals are changing their migrating habits also. This is making it increasing difficult for the natives of the land to hunt and find suitable food. The melting of the ice caps is harming the natives’ villages. As the polar ice caps melt, many villages have to be uprooted because the ice is becoming too thin or they are at risk of being swamped. This is causing dire consequences for their survival. The melting ice caps have other global consequences, such as rising sea level as well. If the sea levels continue to rise, no area of the planet will be safe from the water. Every aspect of life will be altered by the rising waters. 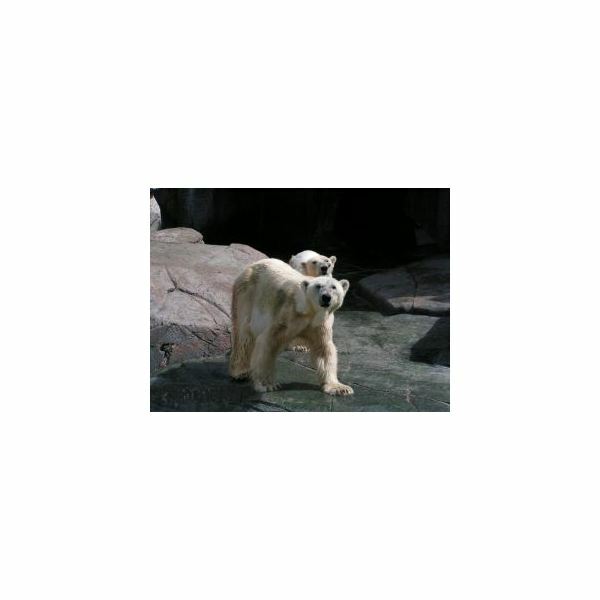 This post is part of the series: Are Polar Bears Endangered? Here you will find articles about how the polar bears may becoming endangered through the processes of global warming and melting ice caps, pollution, and poaching. Find out how the polar bears are suffering and how their habitats are being destroyed. Polar Bears-On the Brink of Extinction?